Two weeks ago I found myself sailing away on a dream. Wow, that sounded really lame. What I mean is I got to get the hell out of Orlando (city of tourists and crazies and Mickey Mouse) and traded it for the big blue ocean, sunshine, all the soft serve ice cream I could eat, and a nice little sun burn on my upper back. I went on another cruise. 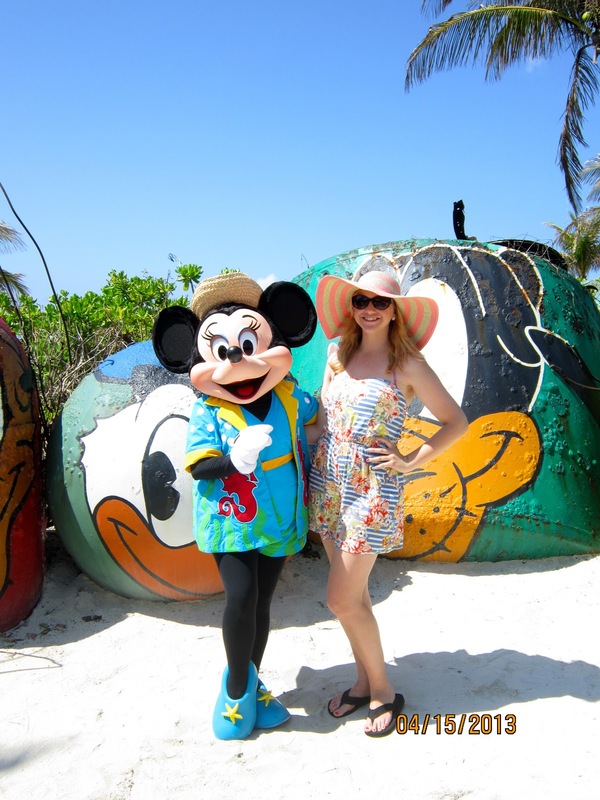 This time it was a Disney Cruise (so I couldn't completely get rid of Mickey) and we went to the Bahamas! 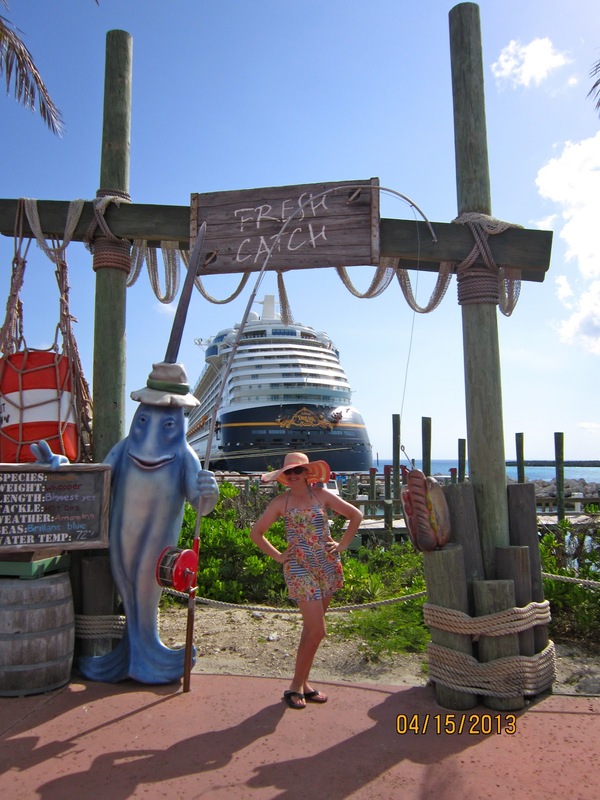 It was a 4 day cruise and we went to Nassau (which is gross), Castaway Cay (Disney's private island), and had a lovely day at sea. -We ate massive amounts of amazing food. -Laid out in the Caribbean sun on a gorgeous beach with blue blue water. 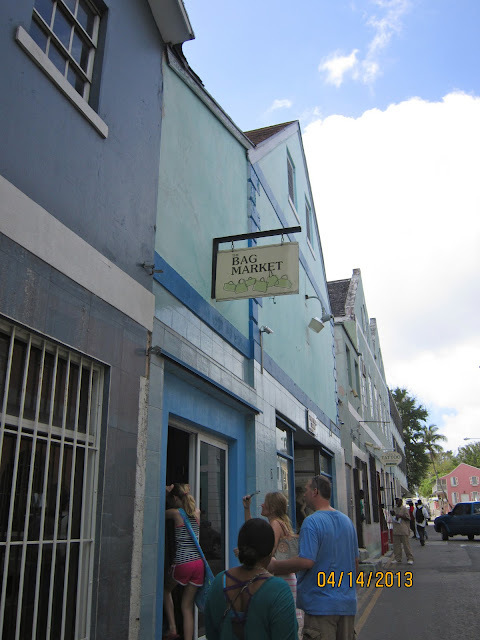 -While we were in Nassau, we got taken to a creepy room upstairs where we bought "designer" purses. Above picture: Grand Marnier souffle. My favorite dessert on the boat! Yes, a good time was had by all. And let me tell you. I'm totally cruise spoiled now. I don't think I will ever be able to do another cruise line save for Disney. The boat was AMAZING! I think Jordan said it best. She said that if the Titanic and the Great Gatsby were to have a baby, it would be the Disney Dream. And for those of you who think that a Disney cruise is just for families. Allow me to enlighten you. There are a ton of adult only places on the boat, lounges, restaurants, and places on the private island. If we wanted to be around the families we could, but we could also escape into "adult land" too. And they are pretty strict on not allowing kids into these adult only areas. It was literally PERFECT! Looks like such a blast. 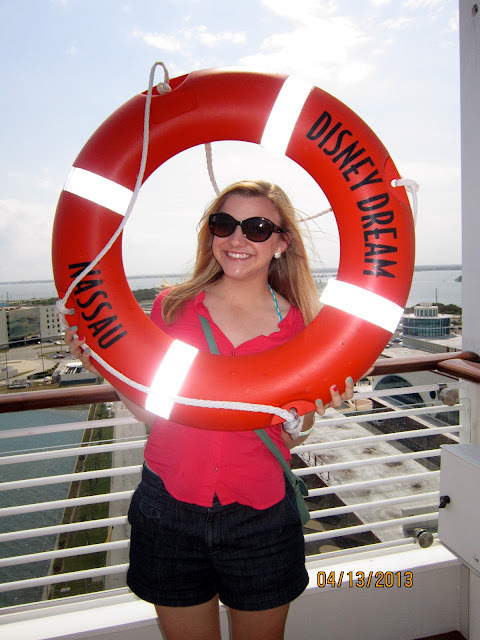 I'm dying to go on a Disney cruise! Y'all are brave for going up those stairs lol I don't think I would've done it! 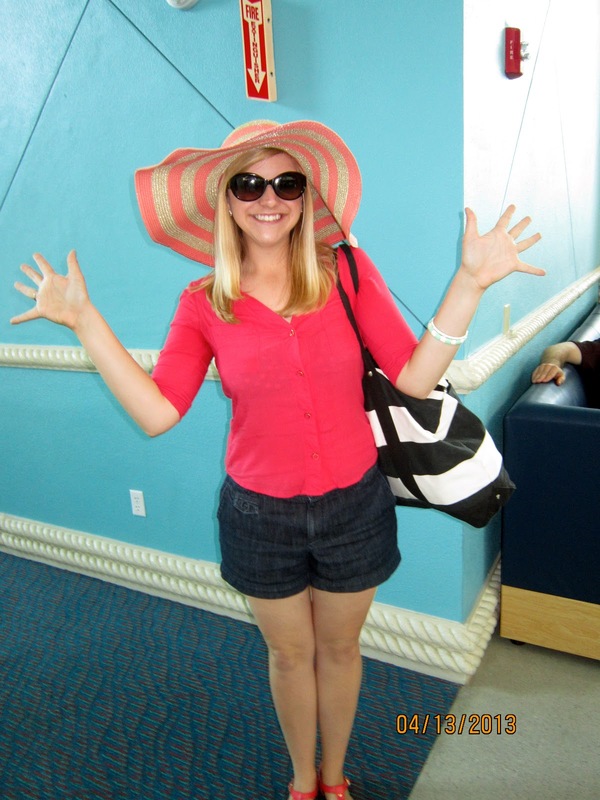 I loved my Disney cruise!! I went on the Dream too! Now I really really want to go on another one haha. And I totally know what you mean about being cruise spoiled, I definitely think Disney does the best cruises! no way! disney cruise! i have always wanted to do that! these pictures look so fun! That sounds awesome. And looks like you guys had a great time! Now I want to go on a Disney cruise!!! 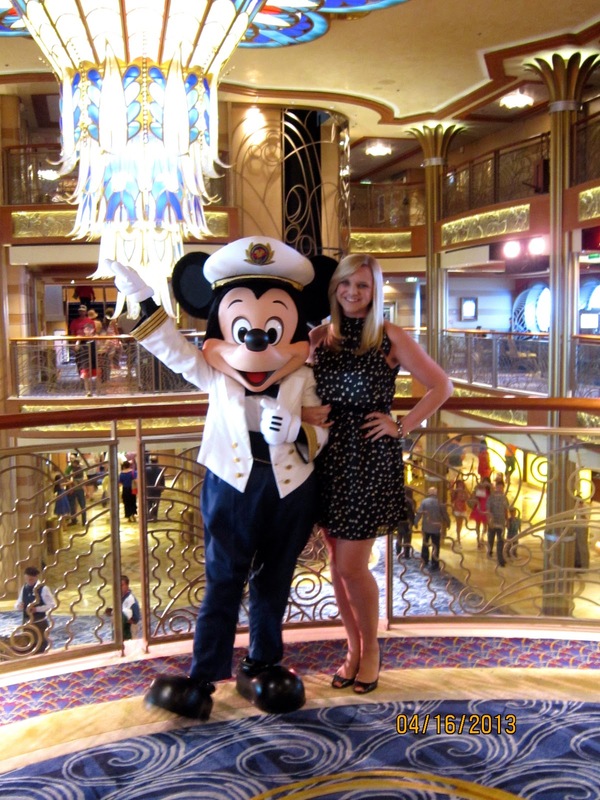 Your pictures are desperately making me want to go on a Disney Cruise!! !